An international team of scientists is starting a long-term campaign to measure the overall health of the ice atop Tibet and its surrounding mountains. This is will them to measure the health of the world’s highest glaciers. In the region of Tibet, there are about 46,000 glaciers, and it’s known as Earth’s Third Pole, which supplies water to some 1.4 billion people in southern and central Asia. Climate studies suggest that the ice is disappearing quickly, but this is in dispute. The Third Pole Environment program (TPE), an international effort that has been put together to assess the overall effects of climate change in this region, will aim to get more answers by monitoring 25 of the glaciers, which will be identified in the coming weeks. The glaciers will be measured twice a year and satellite measurements will be used to look for changes in mass balance, the sum of snowfall that builds up the glaciers and the melting that shrinks them. 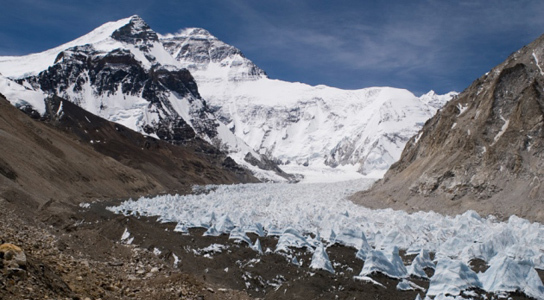 The key sites chosen will help elucidate the key factors in a glacier’s fate, such as elevation, topography, the overall geographical setting and the kind of debris that covers the ice. Using methods that have been proven before, the team hopes to figure out who different parts of the Third Pole are responding to climate changes. The exact health of the glaciers is an unsettled issue. 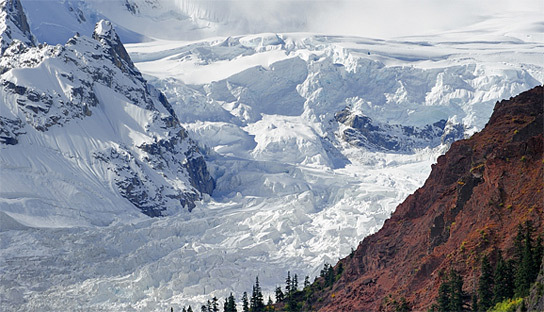 Some glaciers may have increased their surface area, but in fact they might be thinning. A detailed analysis of these 25 glaciers will not settle the matter, but they will prove a good idea about what is happening. Be the first to comment on "Third Pole Glacial Measuring Stations Will Give Monitor Glacier Health in Tibet"